I display my bonsai on tiered shelving facing south east. Grouping coniferous and and deciduous trees separately ensures that the correct watering regime can be maintained. Pines, spruces and junipers are better adapted to drier conditions. 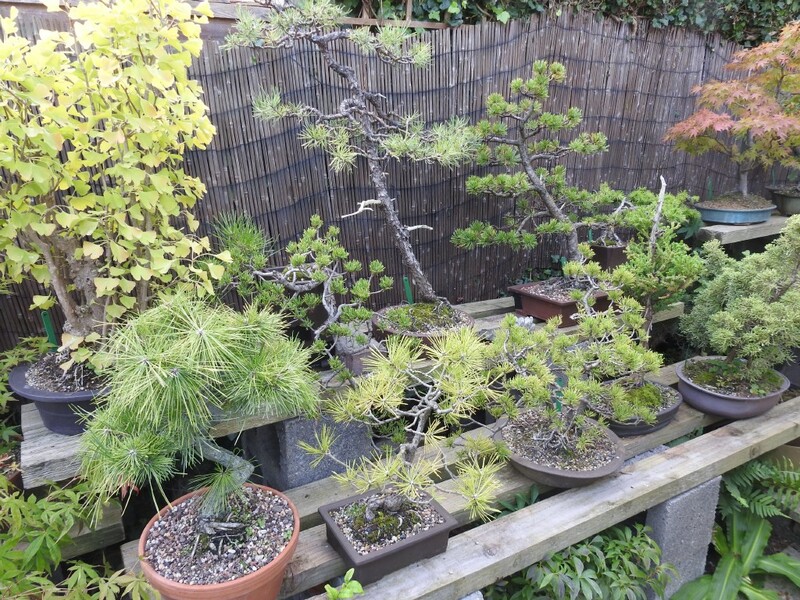 Coniferous bonsai trees: a range of pines, junipers, a Cryptomeria and a large Ginkgo biloba. The oldest tree here is about 50 years old. Deciduous bonsai trees: a range of deciduous trees including maples, a crab apple, and a pyracantha. 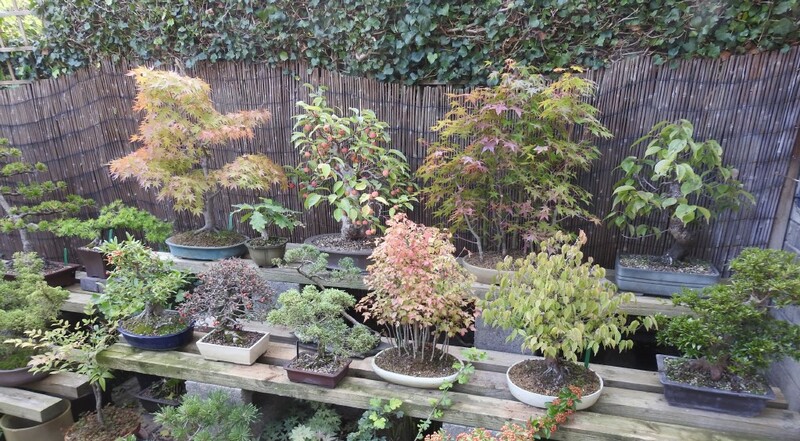 The Zelkova serrata (front, second from right) was the first bonsai tree I ever bought, at the Chelsea Flower Show in 1970! 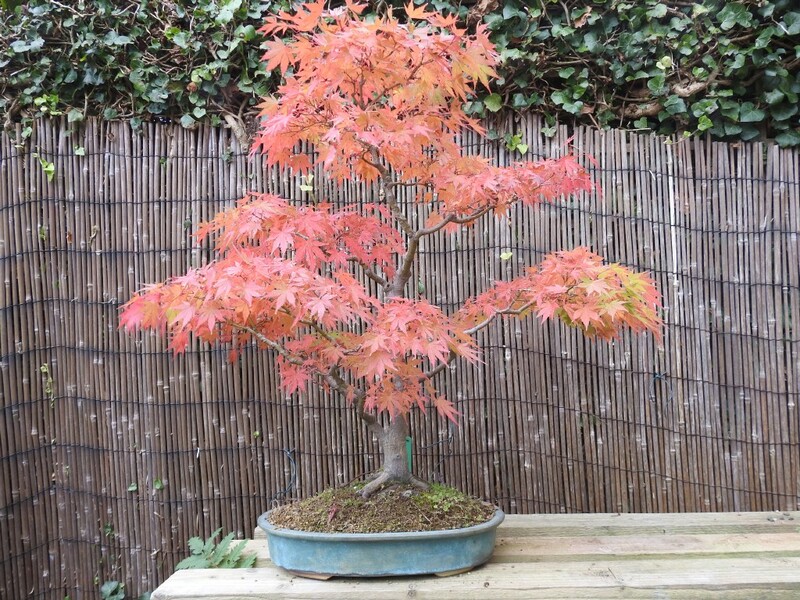 Japanese maple: one of the most popular trees for bonsai with delicate foliage and fine autumn colour. 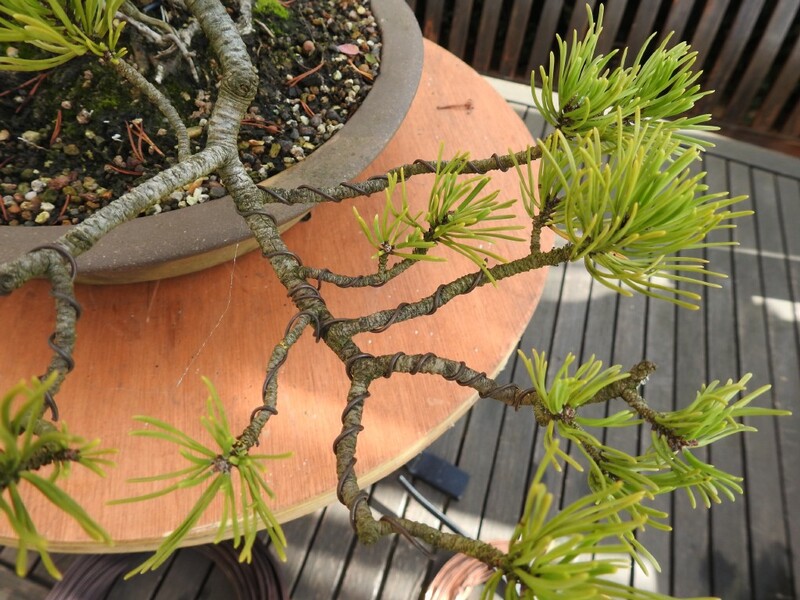 Many varieties are available but are often grafted which can lead to ugly scars on the main trunk of the bonsai. Trident maple: probably tougher than the japanese maple. 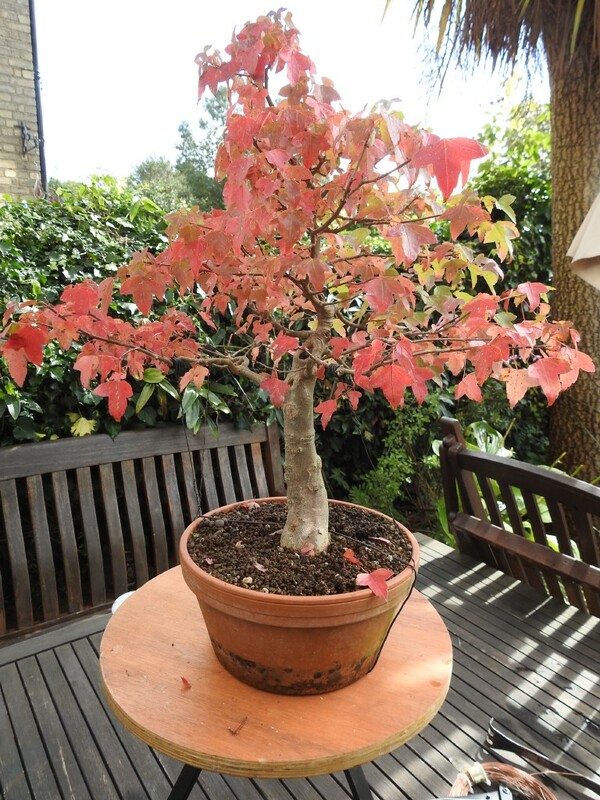 It responds well to pruning and feeding and has autumn leaf colour to rival that of Acer palmatum. Mountain pine: wiring to modify branch shape and structure needs to be in place for about 12 months. Wiring on deciduous trees needs to be monitored closely as ugly scarring can result in as little as 5-6 weeks during the growing season. 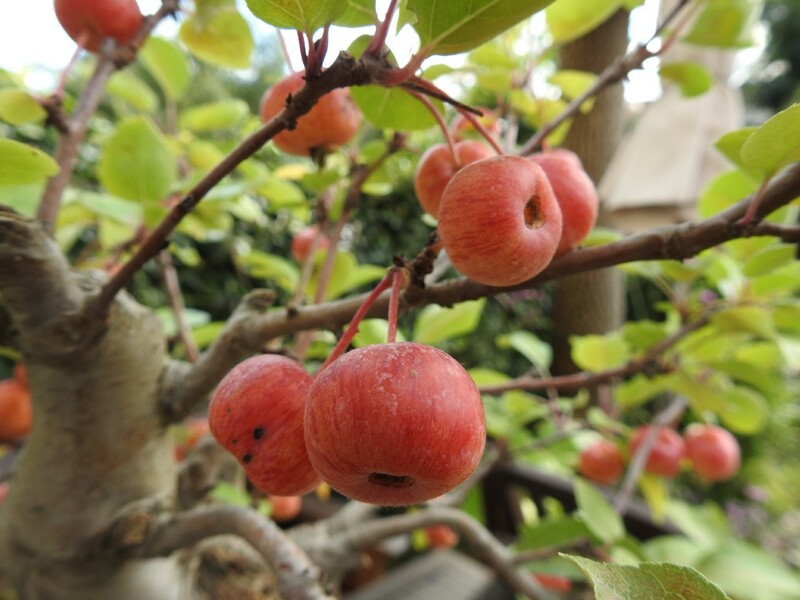 Easy to grow with white / pink flowers in spring followed by miniature apples in autumn. Fast growing, it's a good idea to give the tree a rest every 3 to 4 years by removing flowers in the spring. Better flowering will result in the following year. 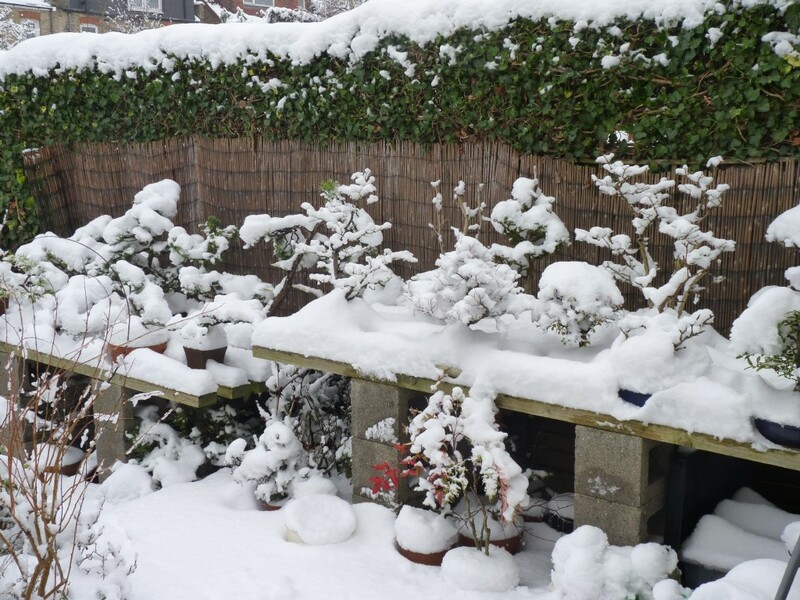 My bonsai remain outdoors throughout the year. They can withstand temperatures down to -3 degrees C and some even lower. Indoor bonsai species, often sold in garden centres and florists should only be placed outdoors during the summer months when there is no danger of frost.